Digital Learning for Development (DL4D) and All Children Reading: A Grand Challenge for Development (ACR-GCD) invite institutions and individuals with the capability to do research to submit a full proposal to develop a Guidebook on Game Development for Early Literacy Learning in Developing Countries. 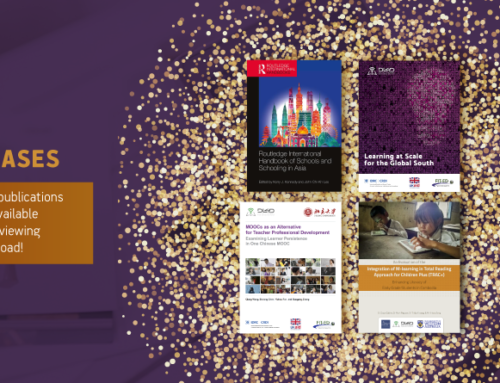 This Guidebook is intended as an evidence-based practical guide for designing, developing and deploying effective digital games for early literacy learning in developing countries. The Guidebook’s target audience is game developers, instructional designers, practitioners, researchers, education leaders, and international and national agencies involved in improving early-grade reading instruction. The Guidebook should describe the key principles that inform digital game development for developing country contexts in support of learning the five component skills of reading and practicing reading. The principles are expected to be at different levels: content, pedagogy, technology, and learning context. In addition, this Guidebook will feature at least 10 case studies of the use of digital games in existing early literacy learning projects. 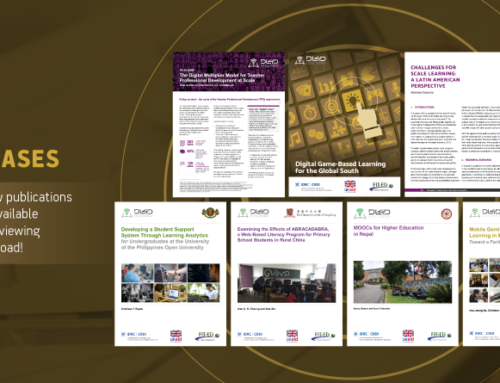 These case studies will 1) describe how digital games have been integrated into the overall early literacy intervention, 2) analyze the design of the digital games used, 3) examine how design and development processes have been managed, and 4) evaluate the effectiveness of the use of digital games in achieving their intended purpose. Send full proposal packets to dl4d@fit-ed.org on or before 8 August 2016, 5:00 PM UTC/GMT+8 (Philippine time). i just see this announcement and i will be waiting for this book to be ready, i am interested in developing game for math learning evaluation. So y would like to take advantage on this book content. Thank you in advance for your contribution to math learning and evaluation. I greatly look forward to seeing the development of this valuable guidebook. While not at a point that I could take a lead I’d be glad to engage with the team that takes this forward. …games also need to be described, analyzed and evaluated in terms of fun. For motivated ‘students’ games make work more enjoyable and enhance several aspects of learning through appropriate game dynamics. For motivated ‘players’ games can be made that make play more educational adding to existing benefits of challenge, social cohesion, skill building, and other reasons people choose to play.